The Pugachyov's Judgement by Vasily Perov, 1878. State Historic Museum, Moscow, Russia. The rebellion led by Cossack Yemelyan Pugachev, later dubbed the Peasants’ War, shook the Russian Empire in the late 18 century. The “ghost of Pugachev” haunted Imperial Russia until its demise in 1917. Russia Beyond answers the five main questions concerning the revolt ahead of its anniversary at the end of September. 1. What was so special about Pugachev’s insurrection? The Pugachev Rebellion kicked off in September, 1773 and rapidly spread from central Russia to Siberia. Over one million people reportedly were involved in the revolt against the Empire’s authorities, with Bashkirs, Tartars, and other nationalities united in a common cause. The latter opposed the changes enforced upon their traditional way of life. Russia did not witness such widespread unrest until the two revolutions of the early 20th century, which led to the downfall of the Empire. 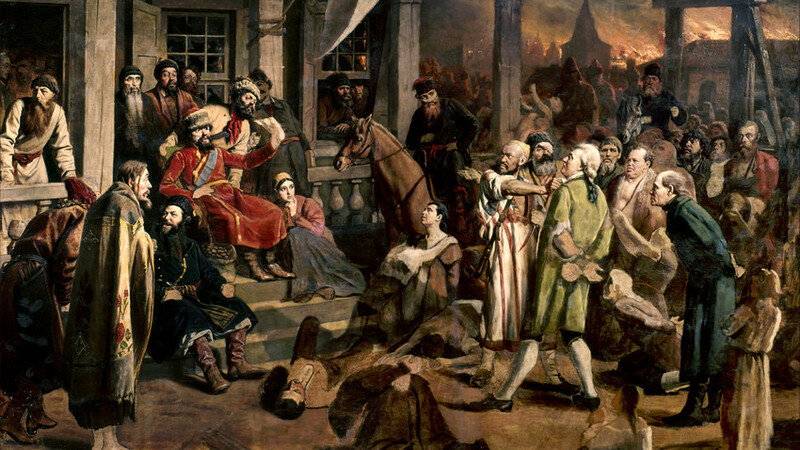 At the peak of the uprising the rebels managed to rally a well-organized, 100,000-strong army and its Cossack leader - Yemelyan Pugachev - contemplated marching on Moscow, forcing the authorities to fortify the city with cannons. Catherine II’s government had to seek a faster resolution to Russia’s war with Turkey (which was raging at the same time) so she could redeploy her best troops to suppress the rebellion on home soil. Alexander Pushkin was so fascinated by Pugachev’s cause that he devoted two books to the subject. The man who managed to shake the mighty Empire to its core was an average Cossack from the Don Region. Pugachev joined the army and despite being a courageous soldier ending up defecting. As a fugitive he was captured by the authorities several times but always found a way to escape. 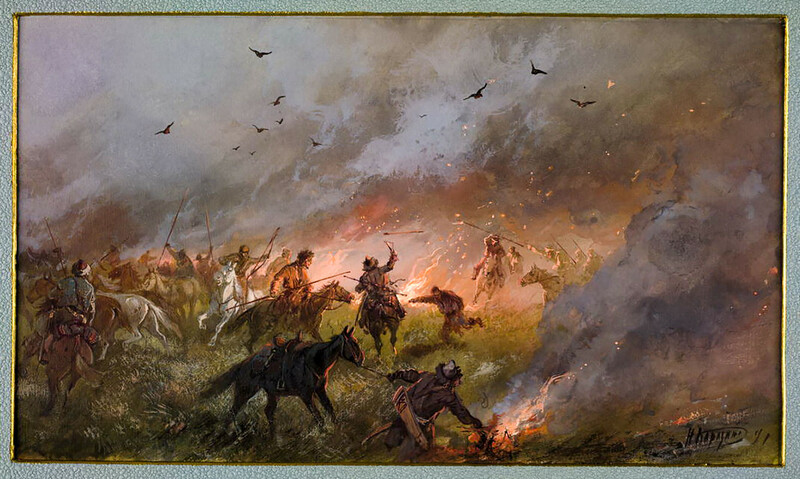 In September 1773, he sparked what began as a small revolt in the territory where the Ural Cossacks held court. At the time the Cossacks enjoyed a special status in Russia due to their military service obligations, as they were skilled and fearsome warriors. However, some of their privileges were revoked by the central government. So they revolted, spearheaded by Pugachev who declared himself Emperor Peter III (the tsar who died/was killed a decade earlier) - becoming a uniting figure for the discontented Cossacks. 3. Why was the uprising so successful? The rebellion lasted for more than a year and snowballed after the authorities underestimated its backing. Eventually, the government was forced to focus a great deal of resources on trying to quash the movement, but it still spread. The Pugachev's uprising in Siberia by Nikolai Karazin. Despite the fact Pugachev’s army lost most of the significant battles with Catherine II’s troops, people still joined the Cossack’s ranks from the regions he passed through. Most of the soldiers were peasants. The 18th century saw the peasants’ situation worsen as serfdom became stronger. Pre-revolutionary historian Vasily Semevsky argued that in Pugachev’s movement, the peasants made clear their wishes – they wanted personal freedom and land. 4. What was Pugachev’s plan? These aspirations were embodied in the manifesto issued by Pugachev in July, 1774 and historians point to this as the height of the uprising. Under the name of Emperor Peter III he declared peasants’ liberty and a right to own the land they cultivated. He also freed them from taxes and duties. Pugachev’s manifesto bestowed peasants the same status as the Cossacks. However, this was only the first part of the famous document. The other half urged his supporters “to catch, execute, and hang” any noblemen who opposed him. Pugachev’s followers responded to the call. Many people lost their lives in the area of the uprising. In one region 348 of 1,425 noblemen were murdered. Rebels dealt with their victims brutally - when they captured one stronghold (Tatishchevskaya), they skinned its commander, stabbed his wife, and raped and killed his daughter. 5. How did the authorities deal with the revolters? Government troops were equally cruel. While suppressing the rebellion they killed thousands. Many also had the word “thief” burned onto their foreheads before being sent to harsh prisons in Siberia. 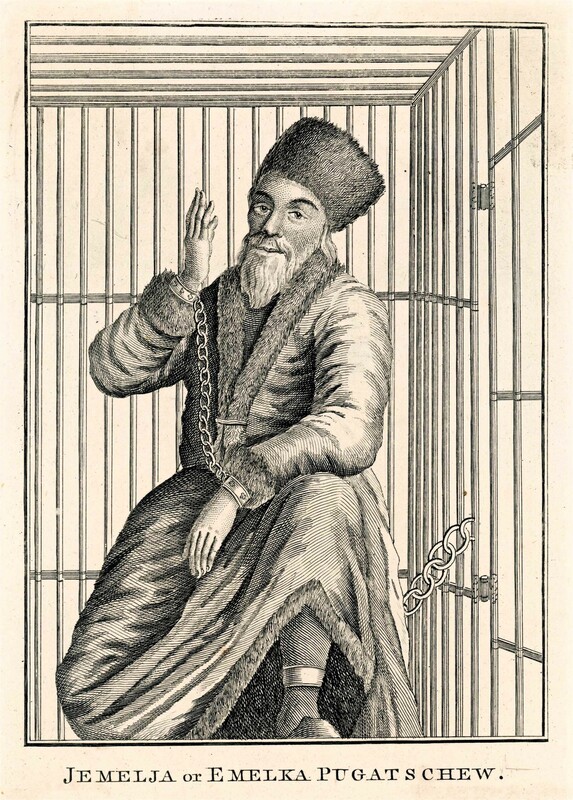 Pugachev was brought to Moscow in a wooden cage. Engraving by an unnamed artist in Caulfield's Wonderful Characters. Pugachev and his backers were eventually defeated in August, 1774 but he managed to escape (as always) with a handful of supporters. However, he was soon betrayed and delivered to Moscow in a small wooden cage. The officer in charge of Pugachev’s transportation was the famous commander Alexander Suvorov. In Moscow Pugachev was beheaded. Before the axe came down, he behaved calmly and courageously. He knelt and asked the people for forgiveness. The authorities tried to erase his name from history. His house was burnt down and his village renamed. Even the river where the rebellion started was recoined from Yaik to Ural. At the same time, as famous Russian liberal thinker Petr Struve once wrote, Pugachev paved the way for the abolition of serfdom eventually carried out by Alexander II almost a century down the line, in 1861.